A village church near Mold has celebrated its 125th birthday by donating £125 to a different community group each month. 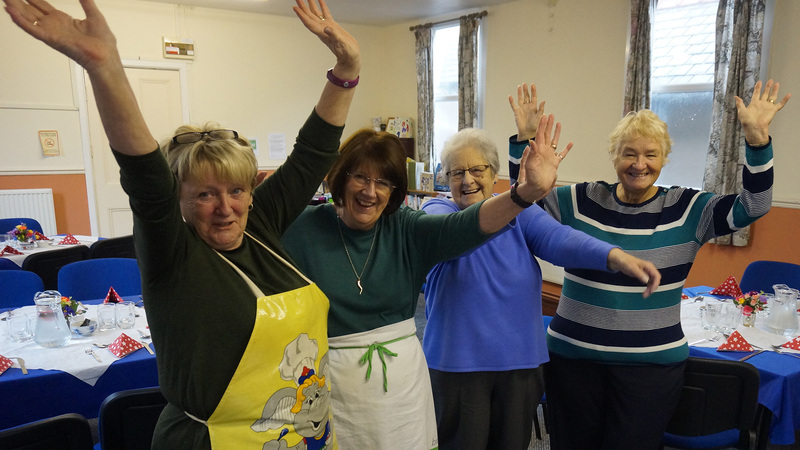 St James’ Church in New Brighton has raised more than £1,250 over the last ten months to support ten local groups. The church has run coffee mornings, afternoon teas, hot pot suppers, brunches, lunch and speaker events. The monthly beneficiaries have included New Brighton Bowling Club, Argoed High School, Mynydd Isa Primary School, Mynydd Isa Junior School, Knit and Knatter/SHARE, New Brighton Football Club, New Brighton Toddler Group, New Brighton Youth Club, BUZZ-AH! and Trapdoor Performing Arts. All the groups have been invited to an end of year celebration in December. The anniversary fund raising events have been organised by Sue Churm, Anne Mellor, Glenda Bennett, Janet Warburton, Marlene Smyth, Kathy Stewart, Ann Stanwood-Jones, Beth Hitchman among others. This was posted on 26 November 2018.